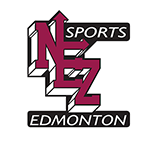 Edmonton Padres Baseball Club “Provincial A” tryouts will be held at the end of May 2019. The single-A (Provincial A) program is one level below the AA program and therefore the skill level, competition and time commitments are at a similarly slightly lower level. It is intended for skilled players who have a desire to play at a more competitive level after the house league season ends. The A program also prepares players interested in pursuing AA baseball the following season. Similar to the AA programs, the teams typically consist of 12-15 players, which are selected by Try-outs/Evaluations and therefore the team can be considered a “selects” team, composed of the more skilled players that participated in the house league programs in May-June. The try-outs commence at the end of May and teams will typically hold 3-4 practices in June (once the team is selected). The teams play during the first 3 weeks of July and participate in the Provincial “A” Championships in later July 2019 . Like all Edmonton Padres rep teams, the Padres A team is supported by a coaching staff of experienced and NCCP certified coaches, who can provide a higher level of instruction and direction in competitive baseball. There is no fee for evaluations/tryouts. Padres “A” players fees for 2019 will be $175.00 per player (This is in addition to regular house league fees).